Epidemiologists discovered that diabetics who were taking a prescription drug called Metformin, derived from the French lilac, had a lower incidence of cancer than non-diabetic, normal, healthy people. Not only was it able to lower cancer rates, but it also reversed aging, degenerative diseases, insulin resistance, and excess belly fat. What is even more exciting is that two plant-derived extracts can do it even better. They are the Chinese herb Gynostemma Pentaphyllum and Trans-tiliroside extracted from rose hips. 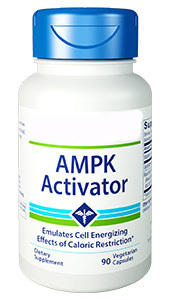 To activate AMPK normally requires severe calorie restriction and rigorous exercise, but Metformin and these two natural plant extracts can activate AMPK without starving or exercising. Some physicians recommend their healthy patients take Metformin 500 mg twice daily. I would prefer using the natural plant extracts, which are even more active than the drug. As you are aware, I like to pass on information on new and exciting nutrients that have health-promoting properties as the data and feedback come in to support the use of the product. This holiday season you may want to consider adding one or two of these amazing life and health-promoting nutrients to your holiday gift-giving list. Dosage: Two capsules with breakfast. To order a supply of AMPK Activator, or any of the other nutrients from COEM, send an e-mail to ORDERS@COEM.COM with the following information. 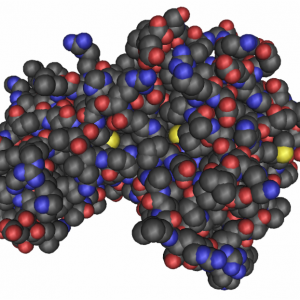 (1) Salminen A, Kaarniranta K, AMP-activated protein kinase (AMPK) controls the aging process via an integrated signaling network. Ageing Res Rev. 2012 APr;11(2):230-41. (2) Luo Z, Zang M, Guo W. AMPK as a metabolic tumor suppressor: control of metabolism and cell growth. Future Oncol. 2010 Mar;6(3):457-70. (3) Zong H, Ren JM, Young LH,Pypaert M, Mu J, Birnbaum MJ, et al. AMP kinase is required for mitochondrial biogensis in skeletal muscle in response to chronic energy deprivation. Proc Natl Acad Sci USA. 2002 Dec 10;99(25):15983-7.